U.S. Rep. William Keating touched on a new FBI directive is urging the bureau to share information with local police about terrorist threats, the Boston Herald reports. He wants to talk to the FBI. Boston Police Commissioner Edward F. Davis testified in a congressional hearing, saying the FBI never shared information about the slain Boston Marathon bomber, Tamerlan Tsarnaev. Posted: 8/23/13 at 9:05 AM under FBI, News Story. Rep Keating is as dishonest as the FBI. Nowhere in the Congressional record can this letter be found and he did not even put the official letterhead letter on his Massachusetts web site. 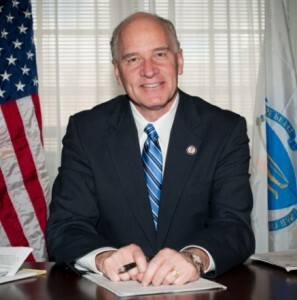 http://ftpcontent3.worldnow.com/wfxt/pdf/keating-letter-to-fbi-director.pdf Nowhere in the Congressional record is there any summary of Rep Keating’s trip to Russia with a group of law makers. These people in our government are taking us for a ride including the US District Court of Massachusetts where all criminal proceedings thus far are merely simulated. It is a bogus case with the only order from the US District Judge being a fraudulent order; he likely has no idea that the case is on his docket. Orders from the Magistrate Judge are also fraudulent. These orders never seem to make it to the court’s all recent orders docket where all the days orders for every sitting judge are suppose to appear. No defense attorney has made the required notice of appearance. The docket has been manipulated in more ways than I can count, AND the young defendant returns NO INMATE FOUND with a federal inmate search. Three Branches of our Federal Government in collusion with the Massachusetts State Government and multiple private sector entities including the MSM continue to defraud the American people.